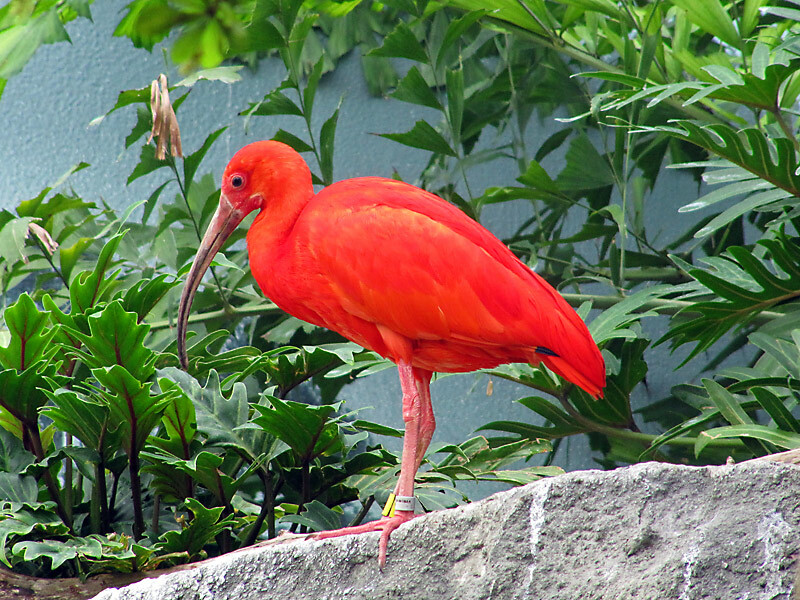 The Scarlet Ibis is bright scarlet all over with black wing tips and a decurved bill. It has a range of north South America and is accidental in the Gulf States. It has a habitat in salt, brackish, and fresh marshes, rice fields, and mangroves. Their food is small crustaceans, small fish, and insects. 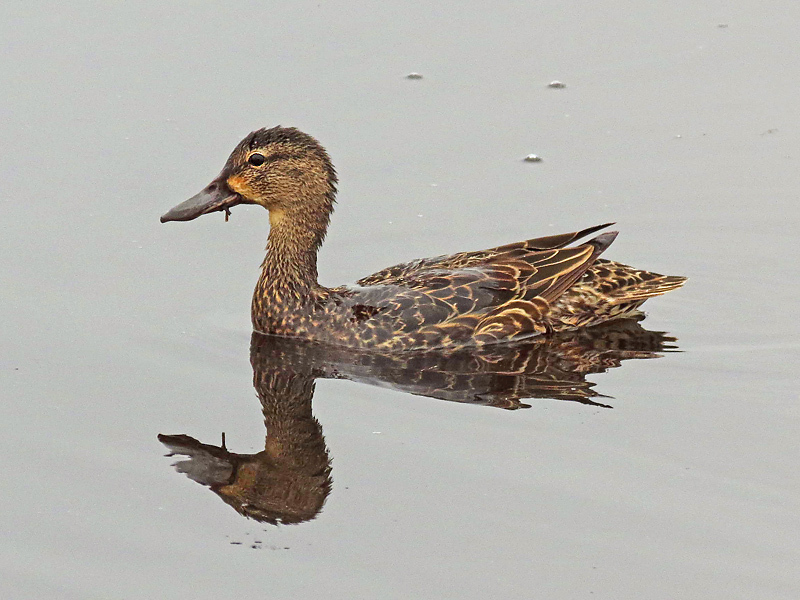 The female Blue-Winged Teal. Both the male and female were photographed at the same time and place. The male Blue-Winged Teal is mottled brown having a dark head with a white facial crescent, and a chalky blue patch on the forewing when it can be seen. 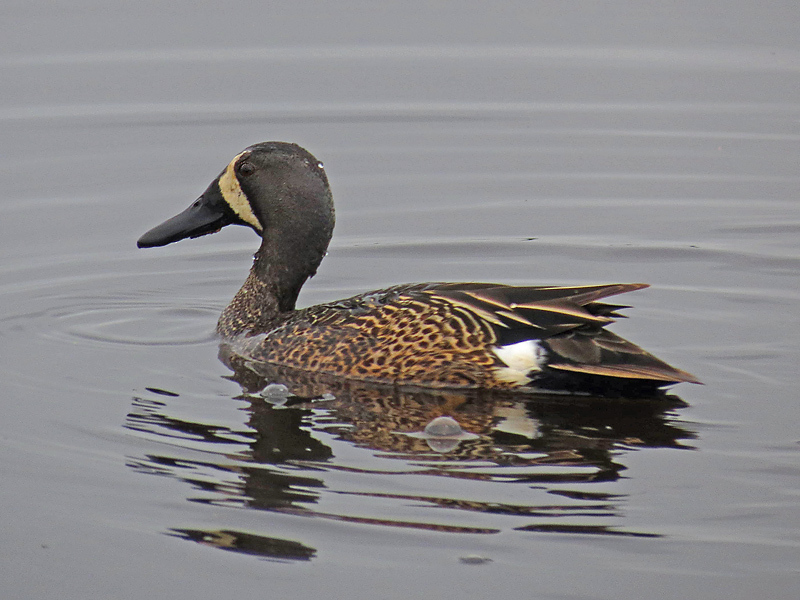 The female Blue-Winged Teal is mottled brown with a chalky blue patch on the forewing when it can be seen. It has a range of Canada to the southern United States. It has a habitat in shallow fresh ponds and marshes. It feeds mainly on seeds and plant material. It seldom upends and feeds away from the water. It forages in shallow water, gleaning items from the surface or swimming forward with head partly submerged.